I'm taking orders now for my special blend of 16 all-natural herbs and spices. This blend is good on everything that flies, swims, or crawls. It's great on popcorn and I've even tried it on ice cream! I use it in my "Bill's Paradise Barbecue Sauce", in my "Bill's Paradise Almost Famous Chili", as a spice rub, in home-made salad dressings. It's great sprinkled on a baked potato. It doesn't change the flavor of what it's on, but it adds depth of flavor and natually enhances the flavor of any food. You can order a big 6-ounce jar now through Paypal for $7.00 plus shipping. I'm a registered Medic First Aid CPR/AED instructor. The course includes basic first aid. Check here for details on First Aid Instruction. 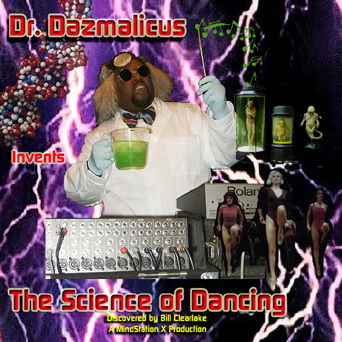 I managed, with great difficulty and danger to myself, to obtain a copy of Dr. Daz's latest experiment called, "The Science of Dancing." I've been playing music since I first picked up a guitar at 12 years of age -- 1967. There are 14 songs on the album produced in three different studio settings (my home studio; my brother's studio in Los Angeles, California; "The Spying Game" produced at Pio Winston's home studio in Oakland, California). 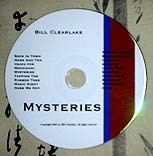 The total length of the CD is about 70 minutes. On the CD, I play Hohner electric and Fernandes acoustic guitars, midi guitar using a modified Yamaha electric and an IVL Pitchrider MIDI converter, a Yamaha TX81Z rackmount synth, Alesis HR-16 and Boss Dr. Rhythm DR-550 drum machines, Roland MC-505 Groovebox, Kawai K1and Kurtzweil K2 keyboards. Some of the interesting sound effects came from the Alesis Quadraverb I digital reverb unit. I tied some of the songs together using an Alesis MMT-8 digital recorder/sequencer and a Yamaha MT-50 4-track recorder/mixer. My brother's studio had a DAT recorder, so I went all digital then to analog cassette tape. Pio's studio had a nice Tascam reel-to-reel. They both had 16-channel mixers. Everything went from digital to analog tape to CD, so that's why the sound isn't perfect. Mars And Ten was an actual street intersection at Burning Man in 1999. Ten being the ten o'clock radius and Mars being one of the concentric streets. Haiku For Mochizuki was written for a Japanese co-worker back when we worked for Kyocera Unison World in Berkeley, CA. There's some history there involving Kyocera's desktop scanner and speed Reversi during breaks but I won't go into all that here. Thermal Shock is the name of the camp I used to be part of at Burning Man. Our theme was a big misting tent. Thermal Shock is still around over by the 3:00 Ranger substation. When I was still a sofware QA engineer (it seems like ages ago) my boss liked to used Sparse Matrix testing. The song is like that -- sparse, yet complete. In "Anaconda" I tried to capture the mood of a deep, steamy, swampy jungle. The rhythms and the haunting, floaty pan flute help set the mood. Pio Winston plays keyboards, synths and sequenced "The Spying Game." I did the final mix. I play both guitar parts in the mix -- very cooul. Look here for complete works and works in progress.